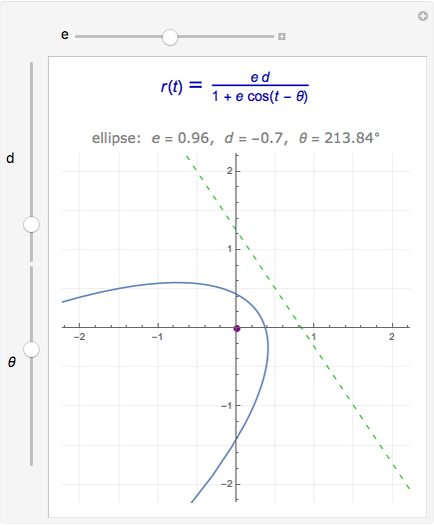 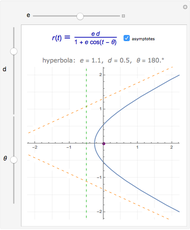 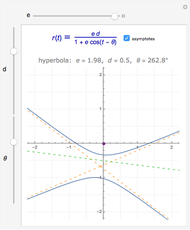 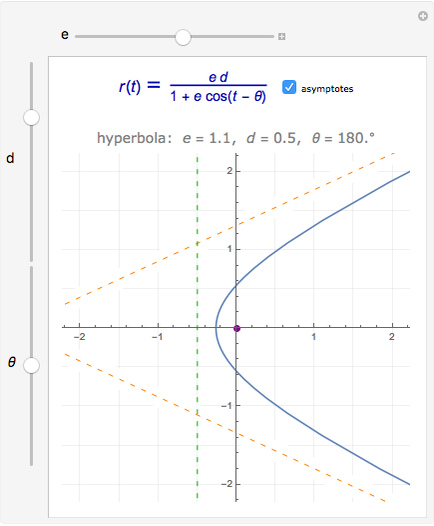 Adjust the eccentricity and the distance between the directrix and the origin to create conic sections. 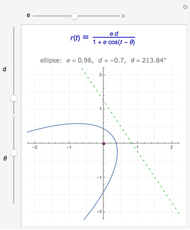 You can also rotate the curve. 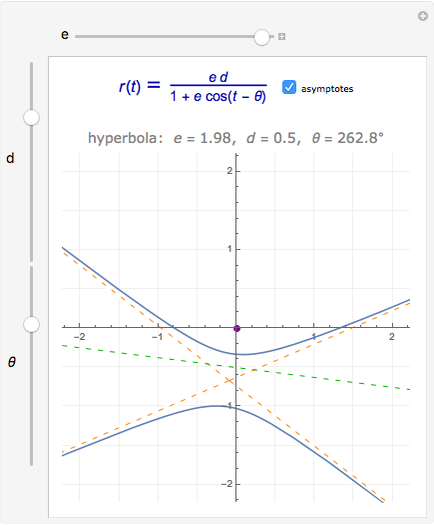 Abby Brown "Conic Sections: Polar Equations"